Another highly observant and rational nun solving mysteries in and around a medieval abbey. Surely we have enough of these series now? 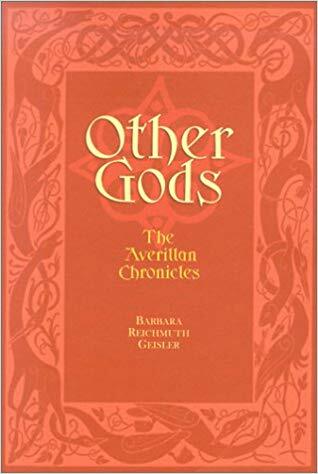 But Other Gods is well written, and it is different from most. For a start it is closer to Ellis Peters’ Cadfael novels, and intended to be so – the same date, with England suffering under the warring Matilda and Stephen, and also the place, Shaftesbury, so similar to Shrewsbury, home of Brother Cadfael – but also closer in attitude and atmosphere: Dame Averilla, the infirmaress and herbalist, faces the same kind of internal problems that Cadfael always faces, for instance a formal and uncharitable sub-prioress, and a distant, aristocratic, abbess who seems totally out of touch. Then a valuable book disappears – and so does one of the nuns, Dame Agnes, who is believed by many of the nuns to be possessed and whom Dame Joan, the sub-prioress, insists should be exorcised, although Dame Averilla believes her to be simply ill. But when this ill, or possessed, nun disappears into the Forest, who is to find her, who is to bring he back? Under Dame Joan’s influence, the Abbess forbids Averilla to go in search of her. And Averilla of course is under a vow of obedience. In fact Dame Agnes is found by Galiena, the local wise woman (witch, many believe) and her followers. This Galiena, born into an aristocratic family but now come down in the world, is a fascinating character. 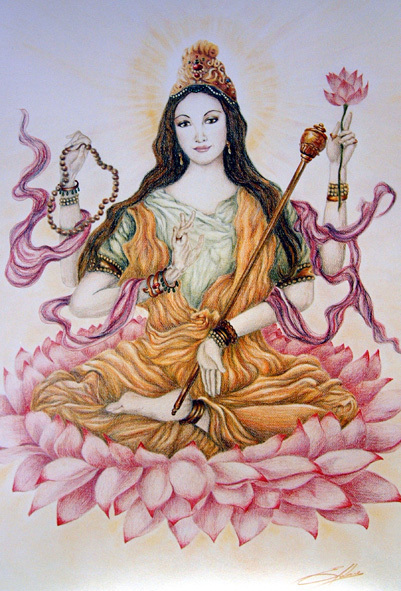 When she was ten, her elder brother returned from the Crusades and introduced her to the art of healing as practised by the foreign healers in the Holy Land. Spurred on by this, she learnt all she could from the local wise woman. Then at the age of thirteen, and already stunningly beautiful, she was married off to a fat pig of a man older than her father, who soon took to beating her unmercifully. A few years later, “he died in dreadful agony”, poisoned by her, and she was free to go her own way and practise her arts as a wise woman herself. Unfortunately, and perhaps because she had already used those arts to bring about more than one death, the path she chooses to follow is the path of evil. Now only Dame Averilla can stop Galiena and save Dame Agnes, but that is being made as dificult as possible for her by her superiors in the nunnery. Why? A first novel in what seems to have set out to be a series that would appeal to Ellis Peters fans, Other Gods is set in exactly that same time-frame and we imagine Brother Cadfael busy in in the infirmary at his monastery in Shrewsbury; we even begin to wonder whether he and Dame Averilla ever met! There is a Book 2 (Graven Images) and a prequel (In Vain) but they were published ten years or more ago – my copy of Other Gods is a second-hand paperback I picked up by chance – and though I should like to read more I don’t think I will: the Kindle editions cost far more than I’m usually prepared to pay even for a new paperback. Another unlucky author with a couldn’t-care-less publisher.